Essential Oxygen's low-abrasion paste works for all oral issues while loving your teeth enamel. This toothpaste is certified organic and has no objectionable ingredients. Not only is it toxin-free and non-GMO, it is naturally effective for teeth whitening, fresh breath, healthier gums, sensitive teeth and cavities. With many dentists concerned about toothpaste thinning teeth enamel, Essential Oxygen created a low abrasion paste for safe daily use. I love this freshening toothpaste. It is gentle on my enamel. I had always used fluoride toothpaste all my life because dentists used to say fluoride gave you healthy teeth. Well, I have only had one cavity in my 47, about to be 48, years. So I guess it did. But now that I'm older my teeth and my gums need a more gentle treatment. This toothpaste fits the bill perfectly, and I'm still getting great reports from my dentist. It works! Ten years ago I had advanced periodontal disease. After months of exploration, I started brushing my teeth with food-grade hydrogen peroxide, aloe and a potent blend of organic essential oils. After 3 days I started getting compliments on my super white teeth; my gums weren't bleeding anymore when I flossed; and my tooth sensitivity was gone. When I went back to the hygienist, she said the pockets and receding gums had stopped in their tracks & that tartar buildup was significantly reduced. I'm ecstatic to report that it's been ten years and I'm still enjoying pristine oral health with this amazing discovery. 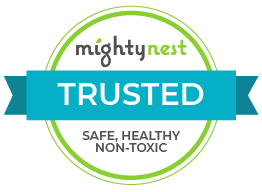 -Mystica Linforth, CEO and Founder Essential Oxygen is a woman-owned, triple bottom line company that sees this planet and its people beaming with optimal health and promotes this vision by creating truly effective and clean natural products.